The Association for the Advancement of Medical Instrumentation (AAMI) is the standard-setting organisation in the United States for all healthcare cleaning, disinfection and sterilisation practices. Numerous AAMI working groups develop and update the various papers that exist. These working groups can request that a particular document becomes a national standard. In these cases, and following approval by the relevant working group and the AAMI board, it goes onto the American National Standards Institute (ANSI) for nationwide adoption. The resulting document is identified as an ANSI/AAMI standard. AAMI’s sterilisation standards are applicable to all healthcare facilities including hospitals, ambulatory surgery centres, clinics, doctors’ and dental offices. Facilities in the US are supposed to comply with AAMI standards. In New Jersey, however, AAMI standards were written into the hospital licensing standards and by law AAMI has no regulatory authority, but since they publish national standards, these are often used as a basis for the standard of care expected from a healthcare facility. The Joint Commission, a healthcare accreditation organisation, often uses AAMI standards for their surveys of healthcare facilities. The AAMI Steam Sterilisation Practices group is responsible for “The Comprehensive Guide to Steam Sterilization and Sterility Assurance in Health Care Facilities (ST79)” the so-called bible for healthcare facilities. The document states that the recommendations are intended to promote sterility assurance and to guide personnel in the proper use of processing equipment. It includes a range of recommended practices from functional and physical design criteria for sterilisation processing areas (decontamination, preparation, sterilisation and sterile storage areas), to staff qualifications, education and other personnel-related considerations. Processing procedures, installation, care and maintenance of steam sterilisers, quality control and quality process improvement are also covered. The relative humidity (RH) recommended was 30%-60% in all work areas except the sterile storage area where the RH should not exceed 70%. AAMI also recommended the use of independent monitors to record and document the temperature and humidity levels. Due to the critical nature of work performed in the sterile processing areas and the possible effects of temperature and humidity levels on packaging material biological and chemical indicators as well as sterile products, the environmental parameters were to be monitored and documented daily by the sterile processing staff. If the levels were out of range, the facility was required to document the action taken to resolve the issue. The recommendation for the temperature range in the steriliser access area was based on the efficiency of the equipment. The advice was to consult with the steriliser manufacturer regarding their recommended maximum temperature. For sterile processing areas not connected to a centralised recording system, the temperature and humidity levels should be manually documented daily. Over the years, especially during the adoption of the ST79: 2010 and its amendments, numerous complaints were received from engineering and building personnel regarding the “unattainable” temperature and humidity levels as recommended by the existing document. The complaints included citations from the Joint Commission when facilities failed to comply with the recommended AAMI temperature and humidity levels. This led to the formation of an ad hoc committee consisting of various interested parties including the ST79 AAMI Co-Chairs, the Joint Commission, the Centers for Medicare and Medicaid (CMS) engineers, and the American Society of Heating, Refrigerating and Air-Conditioning Engineers (ASHREA). The group aimed to develop attainable environmental controls that promote personnel comfort and help make it clinically safe to process medical devices. The committee understood that regulating environmental conditions is complex. As a result of several meetings, the recommendations made included that users should work with their facility’s engineering department to establish policies and procedures for monitoring, and maintaining the heating, ventilation and air conditioning (HVAC) system. It was agreed that the environmental parameters (temperature and humidity levels) that will prevail will be in a version of ASHREA 170, based on when the system was installed or upgraded; which is a document held by the Facilities Management department. Therefore, depending on which version of ASHREA 170 was in effect when the department was built or last renovated, these temperature and humidity levels have become the norm for the particular sterile processing department. 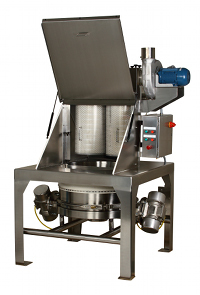 The former temperature and humidity levels for the various areas of sterile processing therefore no longer exist. The committee recommended that each facility establish and implement processes to monitor the HVAC performance parameters and have a mechanism to identify and resolve any variances within the areas/rooms throughout the sterile processing areas. Facilities are advised to designate who will be responsible to develop policies and procedures to monitor and maintain the required HVAC parameters within the sterile processing areas. AAMI recommends, “maintaining records of monitoring results that are retrievable, either from a central system or local log”. Some sterile processing departments wish to continue to monitor their own temperature and humidity levels, however, this is now optional as long as the records are retrievable from the central system. 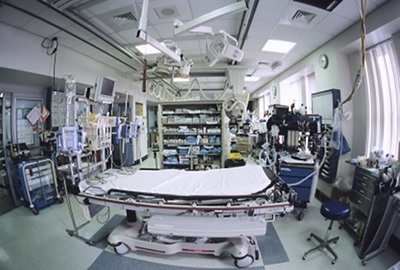 According to AAMI, the sterile processing department is considered a critical area, “Being outside the recommended environmental range by a small variance for a brief period of time may or may not have clinical significance, therefore, a multidisciplinary risk assessment should be performed to determine the correct response to any situation where environmental conditions fall outside the recommended range”. Often personnel question how long their temperature and humidity levels can be out of range before they have to take action. AAMI states that “the effects of the HVAC system falling out of range are variable. A small variance for a short amount of time might not be of clinical concern while longer periods of time could have clinical concern.” The bottom line is that AAMI cannot possibly know the HVAC conditions in the various sterile processing departments. For example, what packaging materials are being used? Was it just the temperature that exceeded the level? Was only the humidity level exceeded? Or did both the temperature and humidity exceed the levels? For what length of time? Half an hour or several hours? AAMI recommends that a risk analysis should be performed to best determine a facility’s response. Form an ad hoc committee consisting of engineers, sterile processing management, a perioperative services director, and consider infection prevention and risk management. Determine the risks when temperature and humidity levels are exceeded and develop a policy to address non-compliance with the facility’s temperature and humidity levels. When you assess a risk in advance, it avoids having to make decisions under stressful situations. 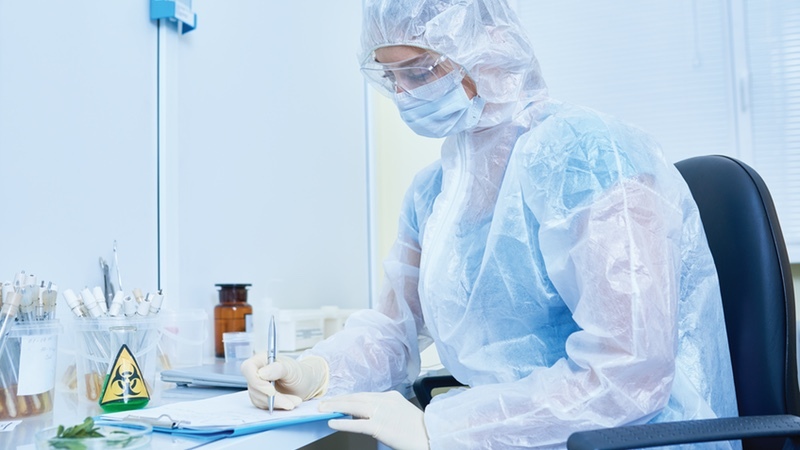 Some sterile processing personnel are very concerned about the temperature and humidity levels, especially in the decontamination area now that the previous AAMI recommended temperature and humidity levels are no longer in effect. It should be noted that the main reason why staff complain that they are hot is the personnel protective equipment (PPE) being used. Impervious gowns, often made of plastic or heavy fluid resistant fabric, contain body heat because they do not allow body heat to escape. Therefore personnel get uncomfortably warm, or in some cases hot, from the PPE. The physical nature of the work in the decontamination area and the heat generated from the various types of mechanical cleaners (eg washers, cart washers). To help sterile processing departments with this issue, AAMI added a new Annex Q4 “Alternative Cooling Methods for Personnel Working in the Decontamination Area/Room”. This Annex in ST79 (2017) gives recommendations to deal with the heat in this area. Some of the suggestions include adjusting the amount of time spent in the decontamination area, use of cooling vests or collars and keeping well-hydrated. 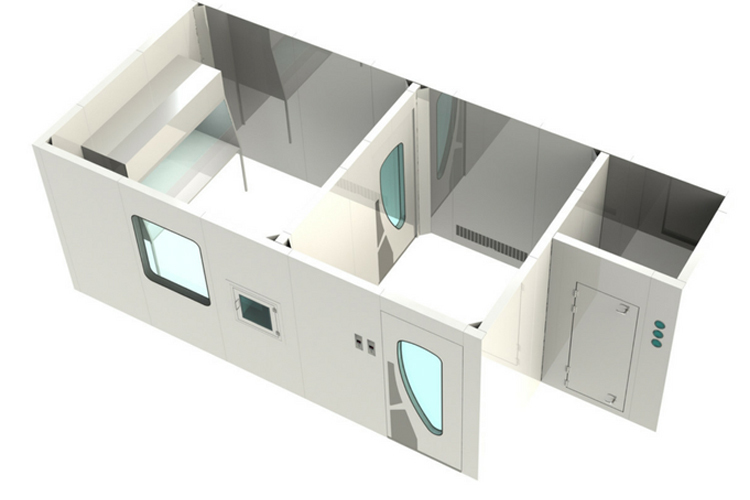 The need for sterile processing staff to remain current with all standards and practices is critical; the changes for HVAC requirements in the sterile processing area need to be addressed by all facilities. It makes sense to perform a risk assessment regarding temperature and humidity levels that exceed the recommendations for a department to be prepared before an incident occurs. 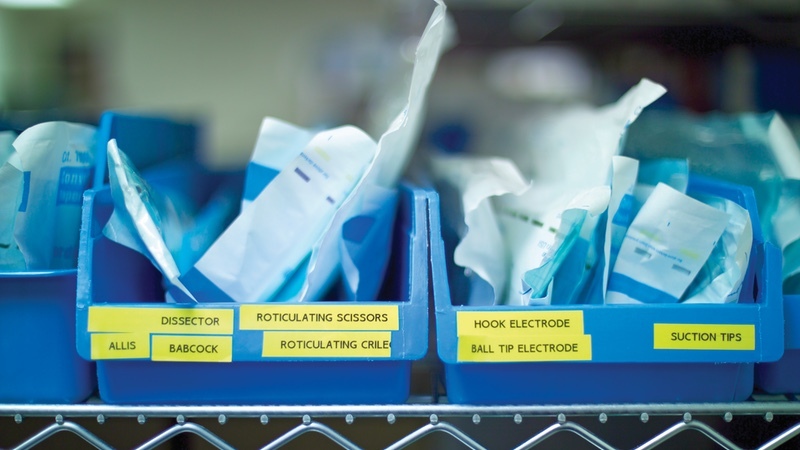 Keeping current, in regards to up to date information and new or updated standards, especially in sterile processing, is important for patient as well as employee safety.